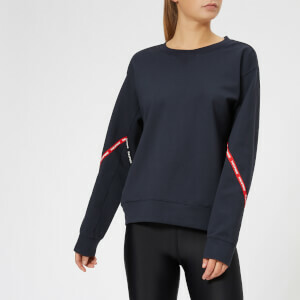 Women's 'Major Win' slouchy sweatshirt from Australian activewear label, P.E Nation. 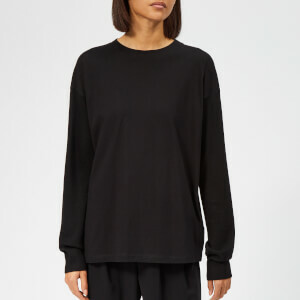 Cut from spongy jersey fabric with an oversized, boxy silhouette and branded zip detail to one shoulder that can be worn open or closed for versatile styling. Features a round neckline, long sleeves and a ribbed hem and cuffs. Complete with thumbholes.